Mountainous panorma landscape view with big mountains. Mountain Pass in Switzerland. Autumn mood at sunset. 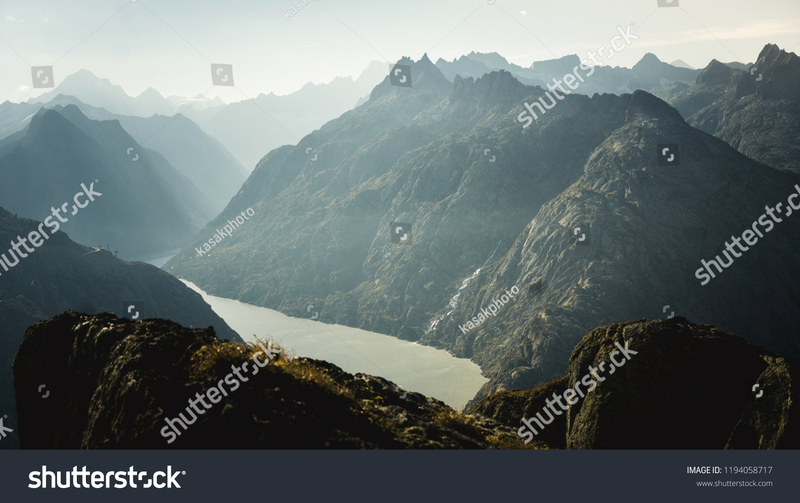 Grimsel Pass links the Hasli Valley in the Bernese Oberland with Goms in Valais.